Free parking at Heathrow Terminal 4 (Max. 2 hours) Updated !! Cant comment on Terminal 5, been a year since I did it there. But Terminal 4 and Terminal 3 (we use this for 1 &amp; 2 as well) we've picked up a couple of times in the last 2 months. In fact I picked my Dad up from 4 two 3 weeks ago. I've noticed other people do the same and they don't seem to care provided you don't hang about waiting. If the person you're collecting is standing there and you just stop, load the cases and leave they've never said anything to us. Hopefully they aren't changing, as well as being near us, the more passenger friendly attitude is one of the main reasons we always try to fly out of LHR. Despite it often costing a bit more. no you cant walk to terminal , espceially if you are carrying 5 suitcases. park your car in the long stay and wait for the bus or go to the first bus stop. kids will love it. i would supose your they are flying from terminal 4 of heathrow ! Never used Long stay parking , Can we walk to terminal instead of waiting for Bus ? Or are the buses frequent ? My friend is going to leave his 2 kids and partner with 5 big suitcases ? How easy is it to use Bus or take a trolley and walk to Terminal themselves ? 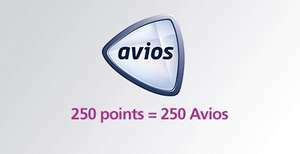 Heathrow reward points are worth double their normal value for one week only! So how many points have you got before the promo amount. Ok so I had earned points that I collected mostly through my partner buying an expensive jewellery item, you get extra for recommending a friend, using Heathrow express using their car park, using the collect latee service etc etc. Enough which would usually equate to £375 in Heathrow Duty free vouchers but with this promo that is currently worth £750! Unfortunately they come in £5 paper vouchers so I have 150 paper vouchers on the way.. There's no dates on your link... There are dates on mine which concur with my previous dates. Troll elsewhere, weirdo. Lol your still trying it on , so you have only selected one region and also not showing all dates that's convenient ain't it but everybody on here can see that you're making a fool out of yourself (excited) it's in black and white on the link that scottish school holidays are valid for the dates shown not all but some are valid and you still come back with more drivel you need help just admit you are wrong like a man come on i would. Free travel sized (7ml) Clinique Moisturiser Surge at Heathrow Terminals 3 and 5. The freebie pops up when you connect to Heathrow WiFi. Do you have to pre book for Mid Stay free parking or can you just turn up? As for posting about this. I've certainly posted other places about this last at least two years ago , first at least a decade ago as I first became aware of it the year Princess Diana died .......... so Rob if anything was a little tardy in his posting ! The Hoppa is such poor value this is a no brainier especially if travelling light. The Bath Road isn't all very expensive hotels, I've paid fifty or less on occasion (Premier, Heathrow Hotel and Skyline) . Getting the bus instead of the Hoppa is no different to eating in the Bath Road Macdonalds for breakfast rather than paying £20 in a hotel. Requires a bit of effort but the end result is the same at a fraction of the cost. To be clear, I never saw his article (and looking at the timestamp on my initial deal post, I believe I posted before he wrote it) and indeed I'd never heard of his site until you mentioned it. I posted this deal because I happened to check that the free bus system hadn't changed in advance of heading to the Heathrow area in the summer, and, after doing so, I thought "hey, not many people know about this..."
https://www.hotukdeals.com/deals/new-premier-inn-heathrow-terminal-4-lots-rooms-29-per-night-2673684 Not Bath Road . This applies across the London tube and bus network, zones 1-6. The best price you can get at the moment from someone who has researched and is looking for the cheapest price. Great knockdown from the £319 that all places are currently charging. Only other option I can see is Very.co.uk have a 10% off if you open an account with them. Bringing it down to around this price. U seriously think P7 is more comfortable? H6 is acceptable for me, but won't say is the best. I still prefer the velour ear pad on Sennheiser or mr speaker. That really depend on personal tolerance level, the shape of your head and especially when if you are used to those really comfortable full size headphones like Sennheiser, Mr speaker, Beyerdynamic etc. I'm quite surprise u think the sound of pm3 is a big let down? What amp did u drive it with? Gotta disagree on the P7s being uncomfortable, I've worn mine almost daily for the last 3+ years and my ears only start fatiguing after many hours of listening. Sound quality is a subjective thing, but again I rate the P7s over the PM3, I actually intended to buy the Oppos as a replacement after hearing they'd made a portable planar, but the sound quality was a big let down to my ears. It really grinds my gears when people vote cold because they think an item is expensive, uncomfortable or not for them. A deal is a deal when it's the best price an item can be purchased at a given time. This isn't a Deal! It's just parking. How's stopping a car a deal! It's a discrace!! You can add Luton airport as well. Two hours free on the Long stay and 15 minutes on the Mid stay with free transfer. It's at the bottom of the centre panel on the page. It says .. Pick-up and drop-off If you are dropping off or picking up passengers, you can use the Long Stay car park for 2 hours free of charge. Re-entry to Heathrow Long Stay parking is prohibited within 24 hours. This facility is not available to private hire and trade vehicles. All exits will need to be verified by a member of the car parking team either on site or via Exit intercom. Subject line of this post says: "Free parking for 2 hours at Heathrow" http://www.heathrow.com/transport-and-directions/heathrow-parking/heathrow-long-stay-parking Cannot see anywhere on the Heathrow webpage link that 2 hours is free. Even running the quote comes up with a cost of parking. So how is this 2 hours free? are you having a laugh ? get a gift if you spend £200 at Boss ? Nothing beats London City, according to this article. Liverpool? The worst for charging! 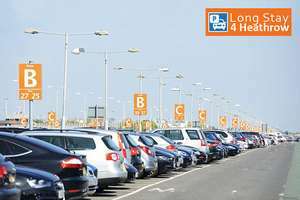 Official Heathrow Long Stay Parking @ £4.49 per day + 10% Quidco! Surely no slower than driving? Getting out of town onto the A/M 4 can be a nightmare, then that itself can be slow going. Try 'just park' - just booked 9 days at the Marriott hotel car park In December for £33. I know it's not 'on' airport but it's on Bath Road - on the fence line with the airport. free Heathrow bus or hotel hoppa for £9 return £20 cheaper than purple parking offsite were going to charge. Hope this helps someone. Ryan. FREE Parking at Heathrow, Gatwick and Stansted for Drop-off and Pick-up! is hours enough a time? Only place to go for a coffee at night I guess. Look and Learn Bournemouth, Look and Learn. You go to Heathrow for a coffee? Thanks, some great deals from the link. Saw in Stansted Airport in NYE, too. Heat! Not bad.. but imo heathrow as an airport is a rip off... Expand Gatwick ! enough of the mess and high fees/taxes that heathrow charges passengers. Better to get there 15 mins after plane arrives plus max 15 mins to terminal and still be there before people you are meeting. Jesus , people must want something to do. You are moaning about paying for parking when the heading says "Free Parking" Don't you look stupid and miserable. looks like not splashing out on terminal 2 version in comparison. No meal: "Will any food or drinks be provided during the trial? To keep you going we will be providing free refreshments along the way." volunteer ambassadors are not connected to the deal you have posted for trials at terminal 5. They are a milk off the olympic volunteers and are involved in upcoming events "such as the London Marathon, the UEFA Champions League and partnership with DR Who to celebrate 50 years of the show" + seasonal support at the airport. Basically pointing where drunken football fans can catch the train into london. 45 minutes free WiFi usage at Heathrow Airport. I'll be trying this tomorrow. Hopefully it's still on offer. You've paid 100s for a flight, and you're arsing around over a fiver for WiFi. LOL.